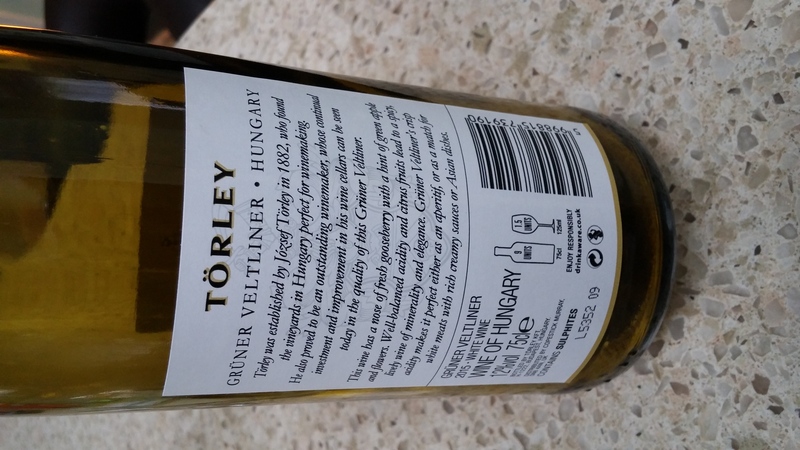 Move over “sweetie” – Hungarian Wine review. 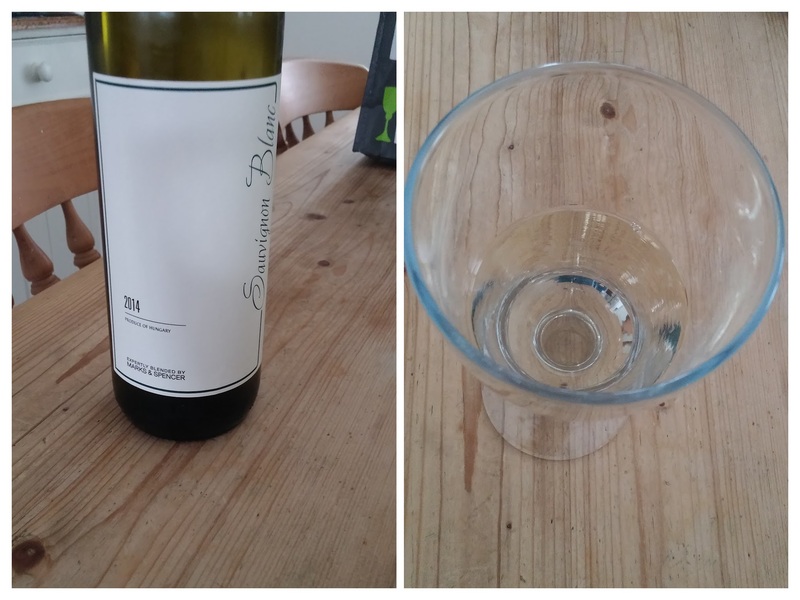 At times like this, the only answer is to open a bottle of wine so after somewhat of a hiatus the blog this week looks at wine again. Hungary is rightly famous for its amazing sweet wine in the form of Tokaji, with the climate and topography of the Tokaji area one which makes grapes grown there highly susceptible to the glorious fungus that causes Noble Rot. At the top of the tree is Tokaji Essencia which is made from the free running juice that oozes out of the noble rotted aszu grapes (as a result merely of the weight of the grapes as they sit on top of each other in vats rather than from them being crushed). Each bottle (not a full 750ml size one) requires 25kg to 30kg of grapes – that is an awful lot of grapes for a small bottle (for standard dry whites you are looking at just over a kilo per 750ml bottle). A special type of yeast is required to ferment this sugar laden grape juice and after 6 to 8 years all you get, alcohol wise, is around the 3% mark. The end result is a unique product that is traditionally supped from a crystal spoon (really it is) and has the consistency of engine oil. With as much as 85% residual sugar it is remarkably sweet, but with a lovely line of acidity through it that means it isn’t cloying in any way. 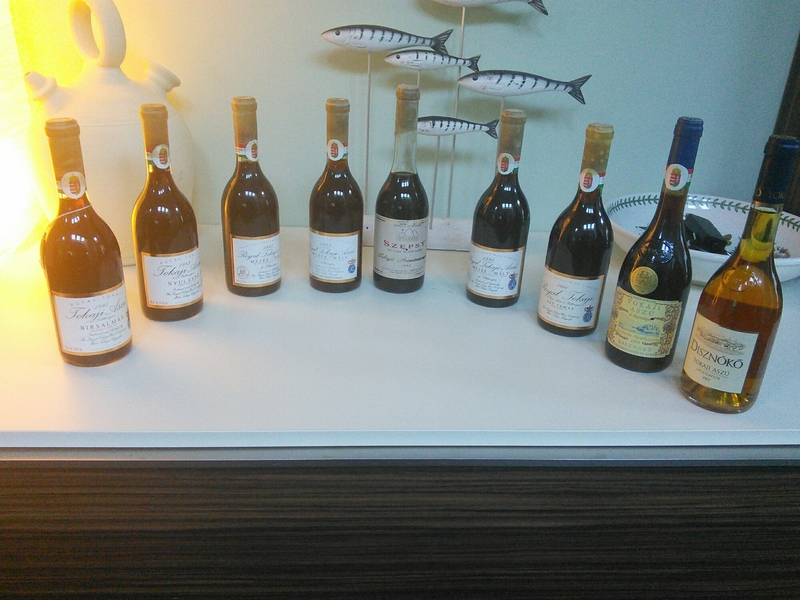 I don’t regrettably have any bottles of true Essencia (too pricey) and have only had the pleasure of tasting it once, in the form of a Royal Tokaji Essencia 1993 (it truly was the nectar of the Gods and nigh on impossible to get hold of these days ) at a tasting run by Hugh Johnson (who happens to part own Royal Tokaji – the lucky man), but have a few from the next rung down (Aszu Essencia). and an ever-growing collection of various puttonyos wines. It is fair to say I like sweet Tokaji an awful lot. As a result, I thought it was about time I looked beyond sweet Tokaji wines and saw some of what else Hungarian wine had to offer in the UK. A pretty typical Sauvignon Blanc this, with grassiness, elderflower and (dare I say it) cat pee on the nose. On the palate it is a bit of a gooseberry bomb, being more like a cheaper NZ Sauvignon Blanc than a Loire Valley one. Missing the subtlety of a good Loire Valley wine or higher end NZ one this wine. 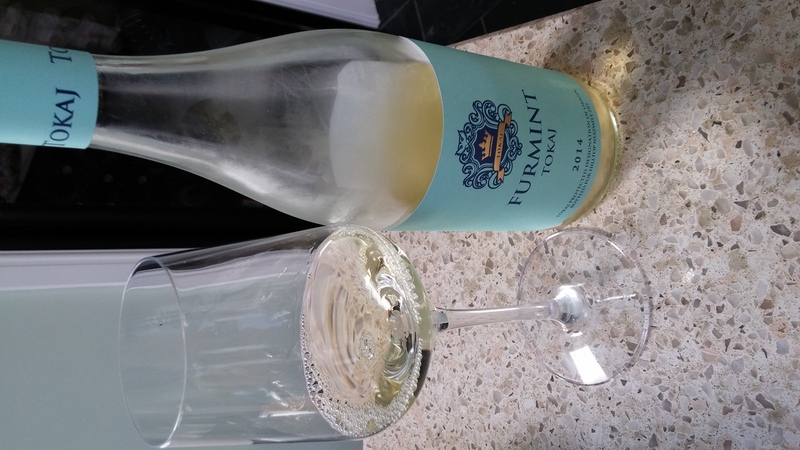 M&S use to do a very nice Hungarian dry furmint which was much more interesting. Fresh juicy pears and an interesting hint of wood smoke on the nose, with more of the pear and also just a touch of honeyed sweetness on the palate. At the standard £10.00 price tag it wasn’t cheap, but it was certainly something a bit different and would be rather good with sushi I think. It was very good value at the £6.66 (on offer price) I paid. 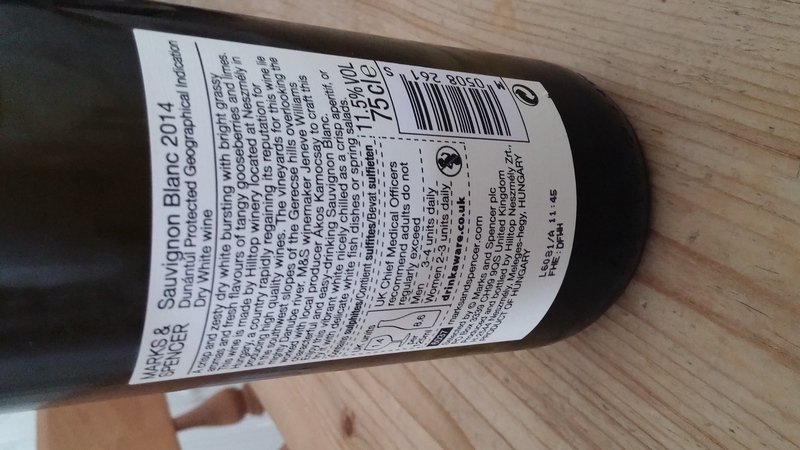 Marks &Spencer seemingly no longer stocking this wine and replacing it with a Pinot Grigio and Sauvignon Blanc in their Hungarian range is a great shame in my view. This wine is made by Szent Tamás winery, which is part owned by the son of, the legendary Tokaji producer, Istevan Szepsy. 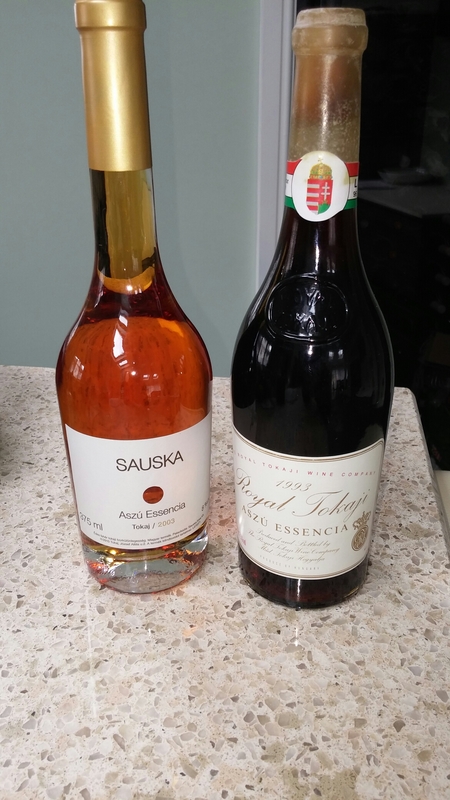 One of the most cherished wines in my whole (not just Tokaji) wine collection is a Istevan Szepsy Tokaji Azu Essencia 1993 (with only 900 bottles ever made). This wine, therefore, certainly has some pedigree. On the nose there are hints of white blossom, apricot and citrus. On the palate there is again apricot, but also a touch of ginger spice and a lovely minerality to it. This is quite a delicate, subtle wine. It starts off quite muted and only shows its true colours (and class) after a bit of time in the glass. It is not bone dry, but certainly not in anyway sweet or even off dry to me. This is a wine that could easily be drunk on its own, but would also be a good match for roast pork and other pork or chicken dishes with light sauces. I really liked this wine, which is something deliciously different. It is exactly the sort of wine you thank the Lord for the existence of independent wine merchants. This stuff is not mainstream and with (I suspect) their not being enough actual demand (certainly at the £13.95 price point) for it to be of much interest to the supermarkets (a point M&S seemed to have proved). My view is you would be “Mad” to pass up this lovely wine. Not 100% convinced by the use of a glass stopper rather than a stelvin screw cap or a cork. Wine was fine with it, but I do worry as to the integrity of the seal long-term. 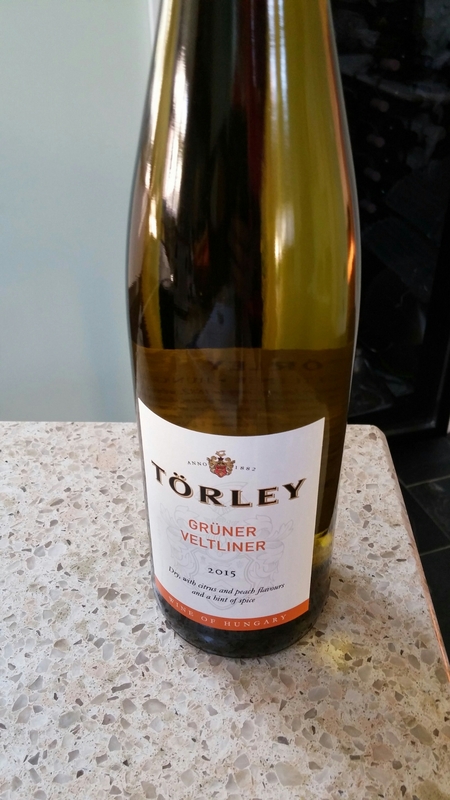 Austrian Grüner Veltliner is one of my favourite white wines. It is a supremely versatile food wine (my go to wine for a tasting menu) and great if one person orders a dish you traditionally drink red with and another one you drink white with. Grüner invariably will go with both. It is also great with spice and therefore works well with Asian and Mexican food. This wine, whilst not up there with the good Austrian Grüners (but a fair bit cheaper), is a nice easy drinking number. It has citrus notes and apple on the nose (label refers to gooseberry but I got none of that), with peach, citrus and a hint of white pepper on the palate. Great wine on its own or with spicy dishes and not bad value at all for the £7.79 price tag. 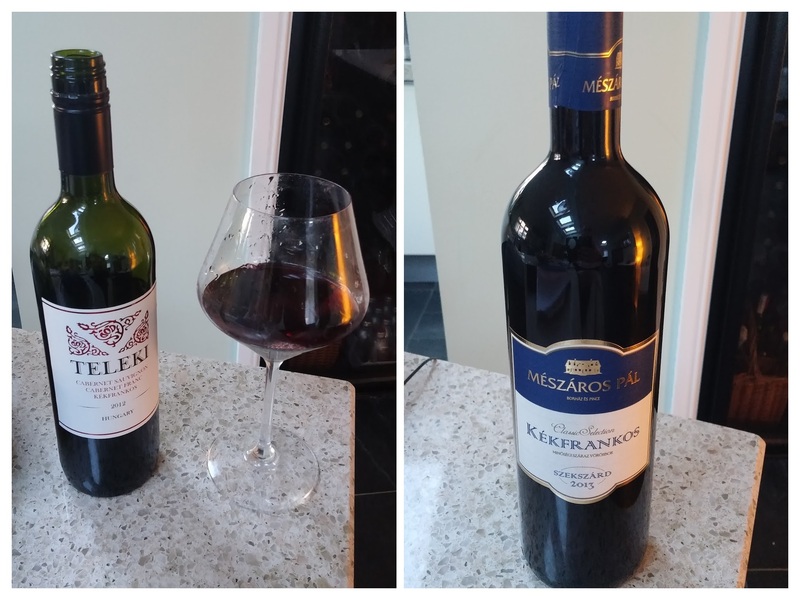 Lidl – Kekfrankos Szekszard 2013 (£6.49). Kekfrankos is the Hungarian name for the grape variety known in Austrian Blaufränkisch and in German as Lemberger. From frequent trips to Vienna I have developed somewhat of a liking for Blaufränkisch. Good Austrian Blau is, however, not that easy to find in the UK nor cheap when you do. I was hopefully this wine would provide a good value alternative. On the nose there is cherry and this is followed through on the palate (more sour cherry on the palate than the nose) and a touch of spice. The Lidl tasting notes refer to clove, but I think it is more vanilla from oak. I also get some peppercorns as it lingered on the tongue. Decent enough wine and not bad value for the price tag. I think it is a wine that benefits from being drunk with food rather than on its own. Obvious food to go with it would be (that Hungarian classic) goulash, but any stew with a touch of spice to it would I think pair with this wine. I also think that this wine would work well with the spice on barbecued and smoked meats and certainly one to consider if this Summer proves to be conducive to barbecues. * It seems you have to hunt around for Lidl’s Hungarian wines as many stores no longer seem have them in stock, which is disappointing. If you can’t find any on the high street, Wines of Hungary have a good selection of Kekfrankos (and other Hungarian) wines on offer. This wine is a blend of Cabernet Sauvignon, Cabernet Franc and Kekfrankos (see above on this grape). I am not sure of the exact split but on the nose and the palate the Cab. Sauv. is clearly the dominant party in this blend. The nose is cedary, with hints of forest fruits. On the palate there is blackcurrant and a touch again of cedar. The Cabernet Franc and Kekfrankos seem to operate principally to soften any hard tanninic edges in the Cab. Sauv. A nice easy drinking wine, good with or without food. Nice with a good steak or ribs on the BBQ and, of course, a beef ghoulash. Good BBQ quaffer at a fair price this wine. These wines show that Hungary has far more to offer than just sweet Tokaji (wonderful as it is), with some decent reds and some very good dry whites. 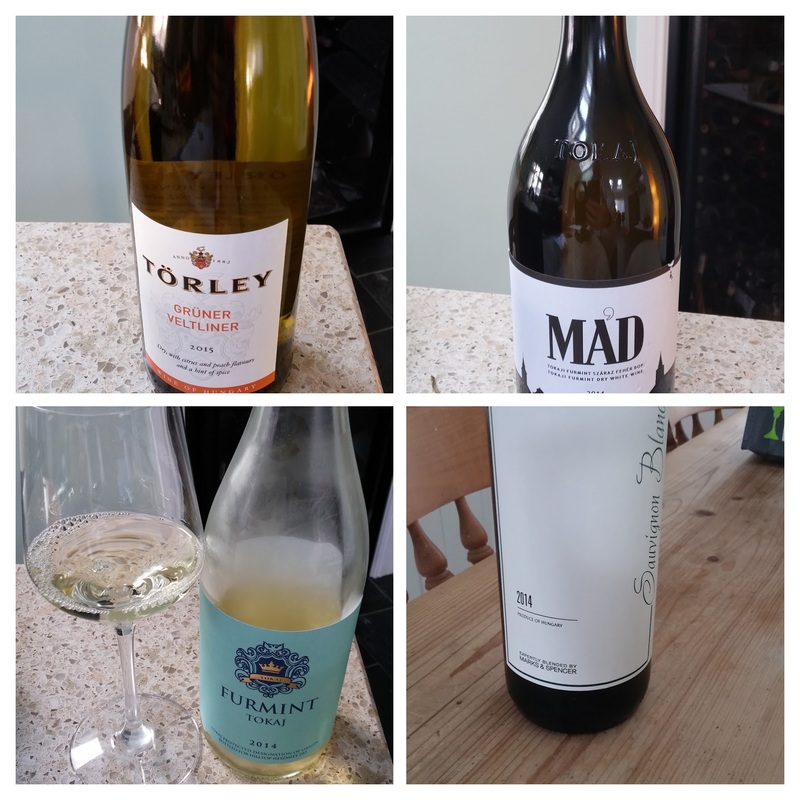 The Waitrose Grüner is a nice wine (great with Asian food), but the pick of the bunch was the St Tamas Mad Dry Tokaji, which really is a lovely wine and a great example of the versatility of the Furmint grape. It is a shame the M&S Dry Tokaji seems to have been removed from their list as I thought it a nice wine and far more interesting than the fairly regulation Sauvignon Blanc and (I suspect) Pinot Grigio that seem to have replaced it in the M&S list. 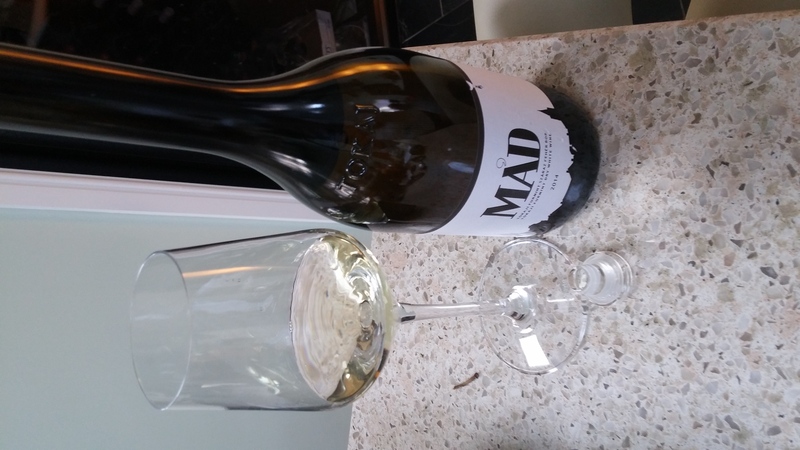 So hurrah and thank the Lord for Independents, like The Bottleshop – Penarth and Roath, Cardiff for stocking the St Tamas Mad Dry Tokaji. Independents really are the places to go to get something a bit different. 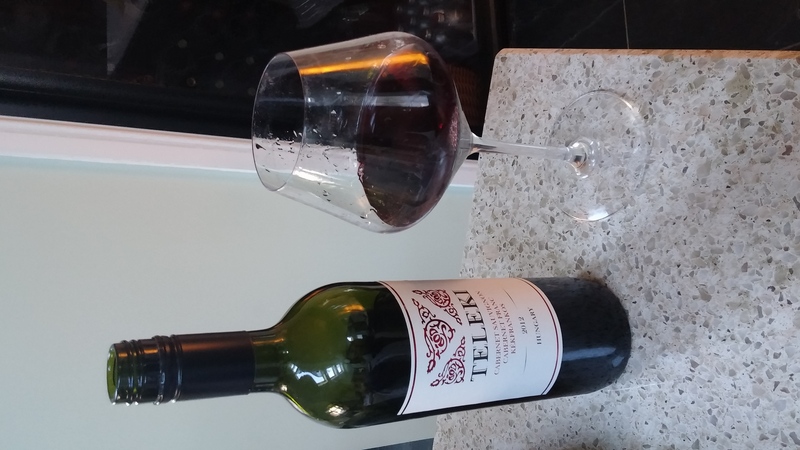 Both the reds were decent value for money, with the Waitrose Teleki probably just edging it for me. Good BBQ wines both of them. If you haven’t already I would encourage you to give Hungarian wines a go. 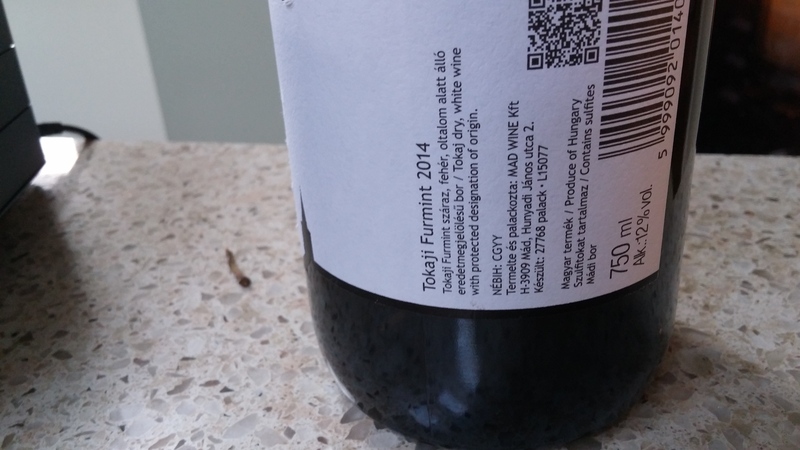 This entry was posted on Jun 26, 2016 by solicitingflavours in Alcoholic drink, Alternatives to sauvignon blanc, Barbecue, BBQ, Bottle Shop Penarth, Bottle Shop Roath, Budapest, Cardiff, Drink, Dry white wine, Food and wine products, Furmint, Gruner Veltliner, Hungarian food, Hungarian wine, Hungary, Lidl, Marks & Spencers, Marks and Spencer, Pork, Red Wine, review, Supermarket wine, Tokaji, Waitrose, White wine, wine, Wine Merchant.